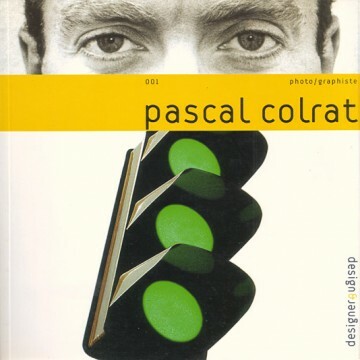 The very first book in the Design & Designer monograph series features Pascal Colrat – a designer of signs. As a photographer and graphic artist, he questions the world with his visual rhetoric. His image language is compelling, and always evokes a strong reaction on the part of the viewer. In May 2002, his exhibition at the Pompidou Centre Signes de la Biélorussie was a great success. Since the École nationale supérieure des beaux-arts, Pascal Colrat has methodically explored the profession of graphic artist. Pascal Colrat calls himself a “photo-graphic artist”, and uses his own photos in his designs. He likes confronting images and symbols to create new meaning, in which everyone finds something for himself, whether in his own reality or his fantasies. Beyond his assignments for live shows or municipal communications campaigns, he has created a substantial body of personal work.